It wrapped up yesterday, and was as always a very nice event. 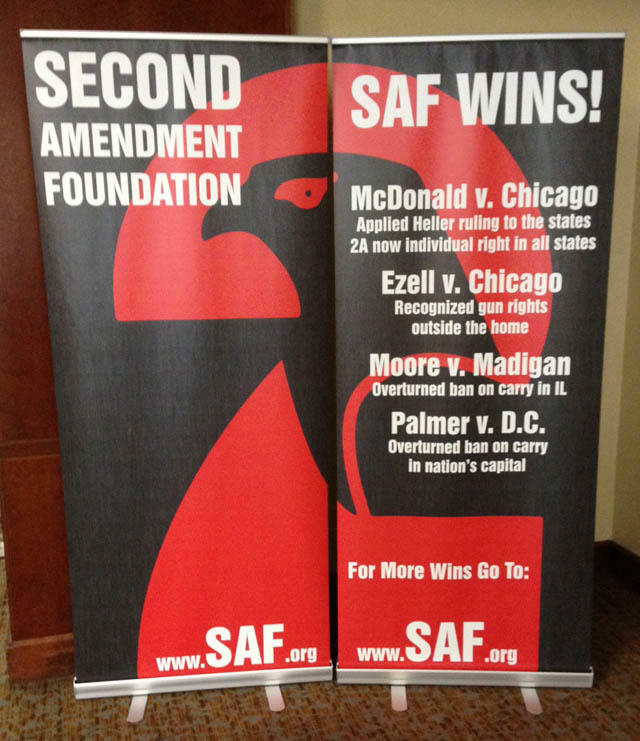 My favorite panel was "Winning Gun Rights, One Lawsuit at a Time," which featured Pamela Capanna, Eric Friday, Don Kilmer, Dan Schmutter, and David Sigale. Other high points were John Lott, and a panel of doctors on the medical "studies." What's the Deal with Palmer v DC. Is carry for out of towner's legal still? OR at least not arrested/prosecuted? I had been avoiding the city limits like the plague when transiting the area and was curious if I no longer needed to give DC a wide berth.